One of the goals I had this summer was to de-clutter my home. I went through all of my kitchen cupboards, closets, and medicine cabinet and removed everything that I no longer needed, hadn’t used in years, or had expired. 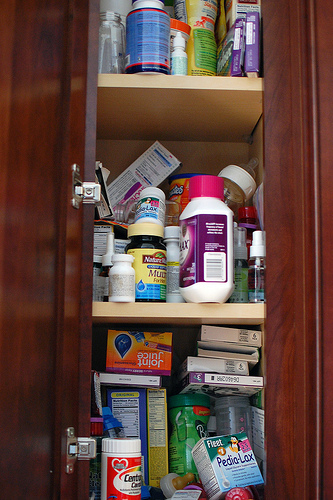 Taking everything out of my medicine cabinet, I looked for the expiry date (on the box or container) and if it was expired I put it in a ‘dispose of’ pile. If I couldn’t find the expiry date or remember buying it in the last few years, its fate was sealed and I added it to the pile. There was also a prescription medication I had just bought that unfortunately I had had a severe reaction to, so off it went into the ‘dispose of pile’ as well. I was surprised to find a lot of expired over-the-counter and prescription creams, drops, liquids, and tablets dating back almost 10 years! I could have sworn that I had just bought that anti-nausea mediation for my trip to Mexico! How time flies! I brought all the pharmaceuticals to my local pharmacy and they we’re happy to take it off my hands as they have a program to collect and safely dispose of these types of products. My pharmacist informed me that it’s important to not use expired drugs because drugs degrade over time and can become less potent, more potent, or can even change to a different chemical which may become toxic. As well, pharmaceuticals should not be flushed down the sink or the toilet as they may leach into the water table and contaminate nearby water supplies. Rule of thumb – if you have any prescription or over-the-counter drugs that have expired or you’re no longer using, bring it to your local pharmacist for safe disposal. The Water Formula – How Much Water Should you be Drinking? If you’re not sure you’re drinking enough water, this blog will give you a formula to calculate how much water is ideal for you. There is no clear-cut answer as to how much water to drink per day, because it depends upon a number of factors like your health condition, your activity status, the climatic conditions, physical size, your weight and your environment etc. You lose quite a lot of water through sweating, exhaling and urinating. In hot weather, you tend to lose more water through sweating, in cold condition, you tend to urinate more. In the event of sickness like flu and diarrhoea, you tend to lose fluid. When you weigh more, your body needs more fluid for the muscle, organ, bone etc. There are many recommendations advise that you drink 8 glasses (250ml/8 ounce per glass = total of approx 2 litre) of water a day. Is drinking 8 glasses of water enough? Answer: Drink 80 ounce of water per day. Answer: Drink 2.5 litres of water per day. Spread the water out evenly throughout the day. If the amount of water is 80 ounces, spread the water out by drinking one 10-ounce glass every hour for eight hours, which is about drinking 8 glasses of water per day. For exercise, drink 1-2 cup of water 30 minutes before exercise. It helps to replenish the fluid loss and fuel the muscle during the exercise. Since other factors like your activity level and the environment conditions do affect your water intake, another way to know if you’re getting enough water, watch your urine. It should be light yellow colored or clear. If it is dark or strong smelling, it is time to drink more water. Also watch for other signs of dehydration such as fatigue, headaches, and difficulty concentrating. If you are thirsty, you are already dehydrated. So, “drinking 8 glasses of water” is not a fix rule for your daily water intake. Water is an amazing fluid – it helps you think better, perform better and even gives your skin and hair a healthy glow. Here are some of benefits of drinking water. Lose weight: Drinking water helps you lose weight because it flushes down the by-products of fat breakdown. Drinking water reduces hunger; it’s an effective appetite suppressant so you’ll eat less. Plus, water has zero calories. 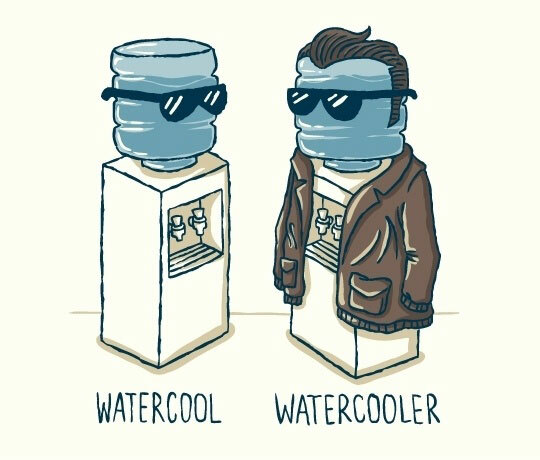 Better Exercise: Drinking water regulates your body temperature. That means you’ll feel more energetic when doing exercises. Water also helps to fuel your muscles. Less Likely to Get Sick and Feel Healthy: Drinking plenty of water helps fight against flu and other ailments like kidney stones and heart attack. Water infused with lemon is used for ailments like respiratory disease, intestinal problems, rheumatism and arthritis etc. In other words, one of the benefits of drinking water is that it can improve your immune system. Relieves Fatigue: Water is used by the body to help flush out toxins and waste products from the body. 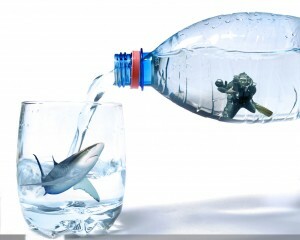 If your body lacks water, your heart, for instance, needs to work harder to pump out the oxygenated blood to all cells. So are the rest of the vital organs, your organs will be exhausted and so will you. Can you see the importance of water to your body after understanding the above benefits of drinking water? Do you sometimes have headaches in the day? Do you ever feel a little fuzzy in the brain or feel fatigued? These may be signs of dehydration. So while enjoying a few glasses of water, read on to find out more about the harmful effects and symptoms of dehydration. 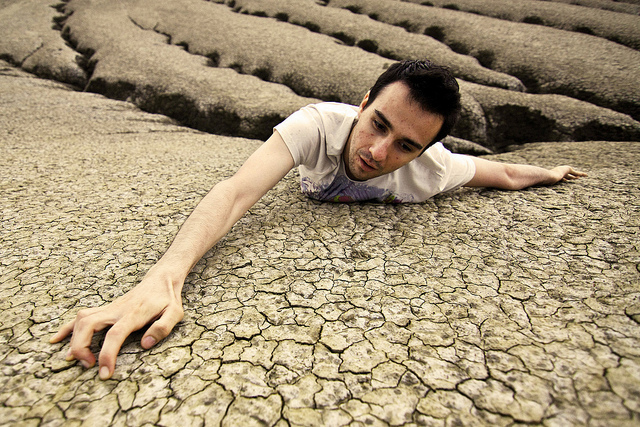 Thirst: Thirst is the most obvious sign that you’re already dehydrated. It is always a good practice to drink more water when you are not thirsty. Don’t wait until you’re thirsty. 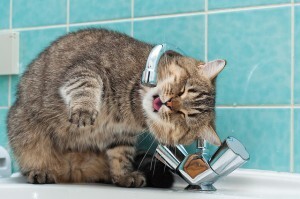 Fatigue: Water is a source of energy and can give you a boost! 1. Drinking a healthy amount of water is vital to your health. By drinking a healthy amount of water, you gain tremendous health benefits, and sometimes you can even throw away your migraine medicine or pain killer. 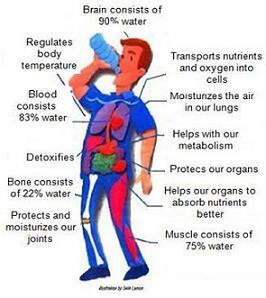 Before we can appreciate the benefits of drinking water, let’s review the role of water in human body. 3. The functions of water in human body are vital. Every cell in your body needs water from head to toe. That is why it is so important to drink enough fluid. Take for example, the brain consists of 90% water, if you do not supply enough water to your body, your brain cannot function well, and you will get a headache or a migraine. So the next time when you feel fatigue or have a headache, it may be the sign of dehydration. Fact or Fiction – Is Water Really THAT Important for Your Health? Is Drinking Water Really That Important? Yes, Drinking enough water is vital to your health. If you want to feel well and perform to the best of your ability, your brain and body requires plenty of hydration. I hadn’t realized just how important drinking water was for my health until I noticed the difference I felt when I started drinking enough water for me. I felt better overall: my digestion improved, I had fewer headaches, I didn’t wake up thirsty and I had a clearer mind. I now have a goal to drink between 2 – 2.5 litres of water a day. There is a lot of good information about the importance of water for your health so I have created a four-part series. I will share information on the following topics.